List Rules Vote up the non-Christmas movies that put you in the holiday spirit. The holiday season means its time to return to some of the best Christmas movies of all time, including go-tos like Christmas Vacation, Elf, and Love Actually. But what about non-Christmas movies to watch this holiday? Films like The Apartment, Trading Places, and Kiss Kiss Bang Bang are some of the best Christmas-adjacent movies, even if their plots aren't exactly all tinsel and cheer (Gremlins is definitely more of a scary Christmas movie). Like long-established Christmas classics, many of the best non-traditional Christmas movies are about families coming together, involve romance, and follow characters that learn valuable lessons in the spirit of the season. Why aren’t they considered part of the holiday movie canon? Maybe they’ve just yet to find their role. Every year, for instance, fans debate whether Die Hard is a Christmas action movie or not (perhaps it’s the “Yippee-ki-yay” line that turns off some people from associating this film with a nominally religious holiday). So if you're tired of watching Kevin McCallister dupe Harry and Marv in his house of horrors for the upteenth time in Home Alone, you may want to pop in or stream these greatest holiday movies that aren't about Christmas. This movie is like an extended holiday episode of Mad Men. 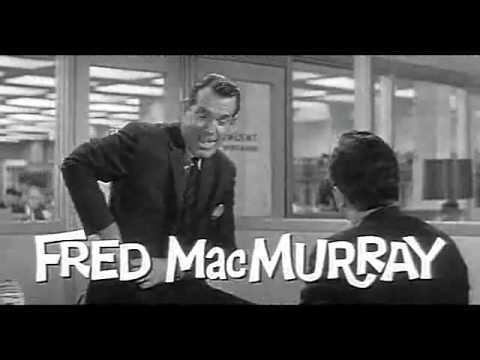 Jack Lemmon plays a business executive named C.C. Baxter who lets his boss use his apartment for extramarital affairs. Things get complicated when Lemmon's character falls for one of those women (Shirley MacLaine). The whole film is set around the Christmas holiday, which adds to Baxter's loneliness and sadness. While everyone is celebrating and has someone to celebrate Christmas with, he doesn't. The film culminates in a New Year's Eve run-through-the-streets moment to rival Billy Crystal's in When Harry Met Sally. The Christmastime setting isn't integral to Die Hard's success. In fact, you could probably place the terrorist-hostage plot during anytime of the year and it would still work. But the holiday definitely elevates the crisis. 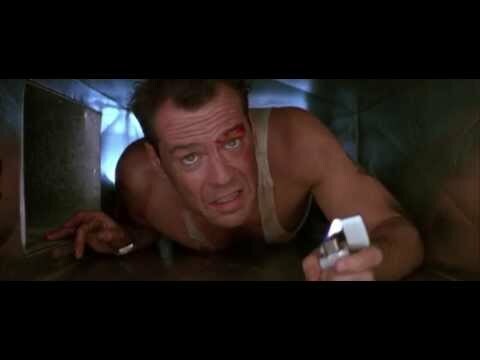 Not only is John McClane (Bruce Willis) trying to save the day, but he's trying to make sure everyone gets home to open their presents on Christmas morning. Tim Burton may as well have called this one A Batman Christmas, as the holidays are all throughout this superhero flick. Max Shreck (Christopher Walken) makes a speech in front of a Christmas tree; Batman (Michael Keaton) warns Catwoman (Michelle Pfeiffer) how deadly mistletoe can be. Catwoman even has a tiny Christmas tree in her apartment that you can spot as she's smashing everything with a pan. Gotham City is like a snow globe, with beautiful snow falling as the Bat signal lights up the sky. Batman Returns is one superhero genre film that satisfies fanboys and holiday nuts alike. Jingle All The Way had Arnold Schwarzenegger going to any means to secure a special toy for his son, but imagine if he had just robbed a toy store instead. That's actually how Shane Black's Kiss Kiss Bang Bang opens: with Robert Downey Jr.'s character robbing the store for a toy for his kid (as well as for the money). This film quickly turns into a murder mystery, and features holiday trappings like Santa suits, "Sleigh Ride," and even the less conventional holiday tune "Santa Called Me a Ho."